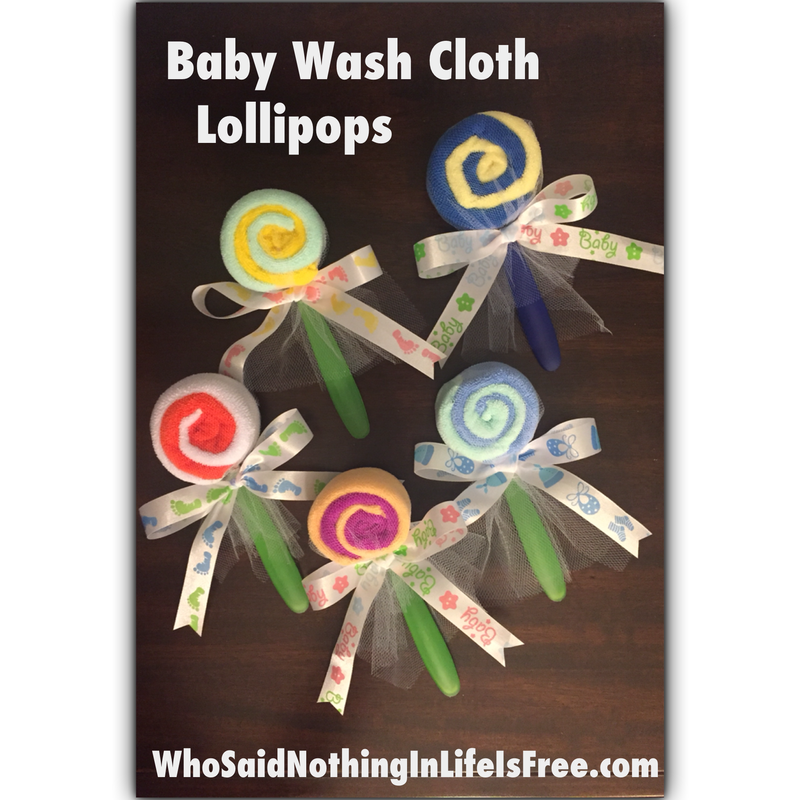 Turn Baby Wash Cloths and Spoons into "Lollipops" - Who Said Nothing in Life is Free? 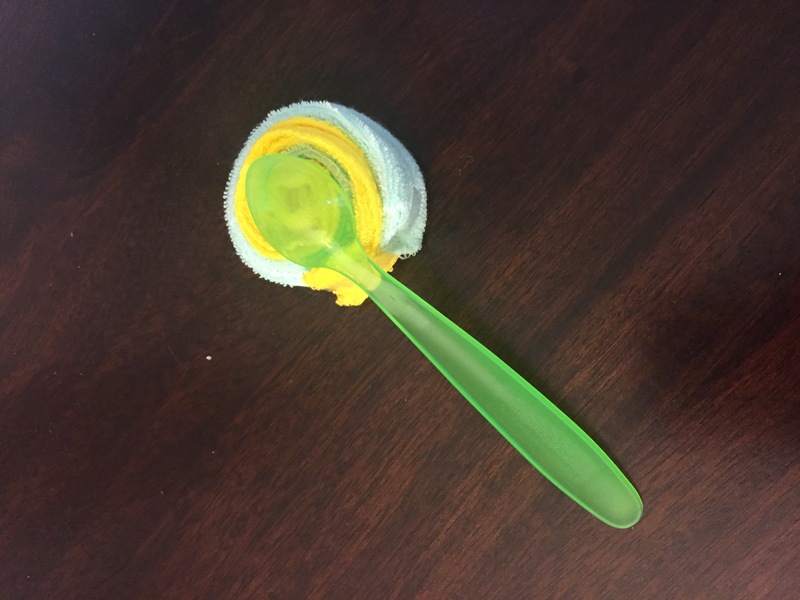 Here is a super cute idea for baby showers… turn baby wash cloths and spoons into lollipops. 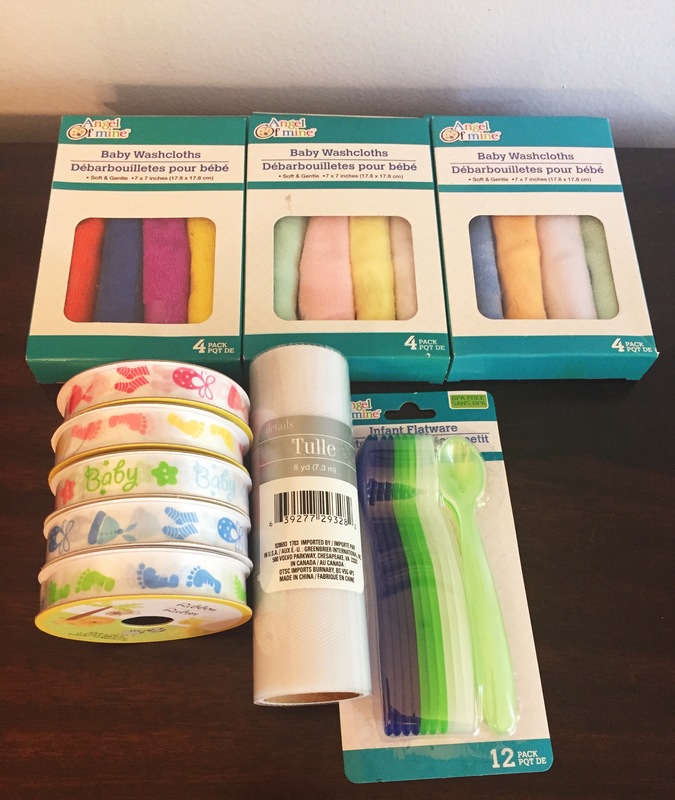 I got all my supplies from Dollar Tree. 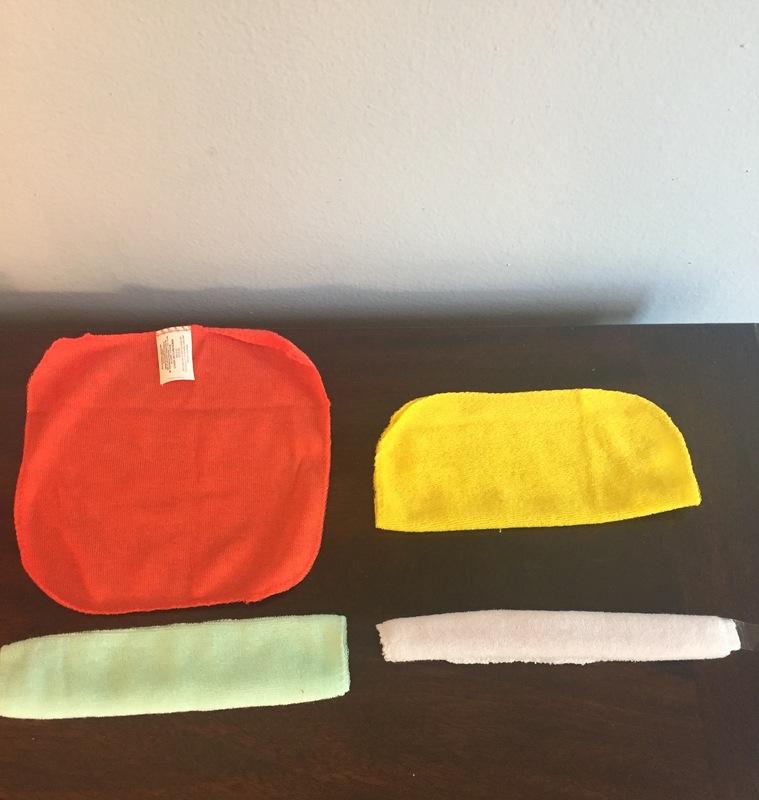 Step 1 – fold wash cloths in half, then in half again and then one more time in half to get thin strips. Step 2 – Roll 2 strips together to get the striped look and use tape to hold it together. 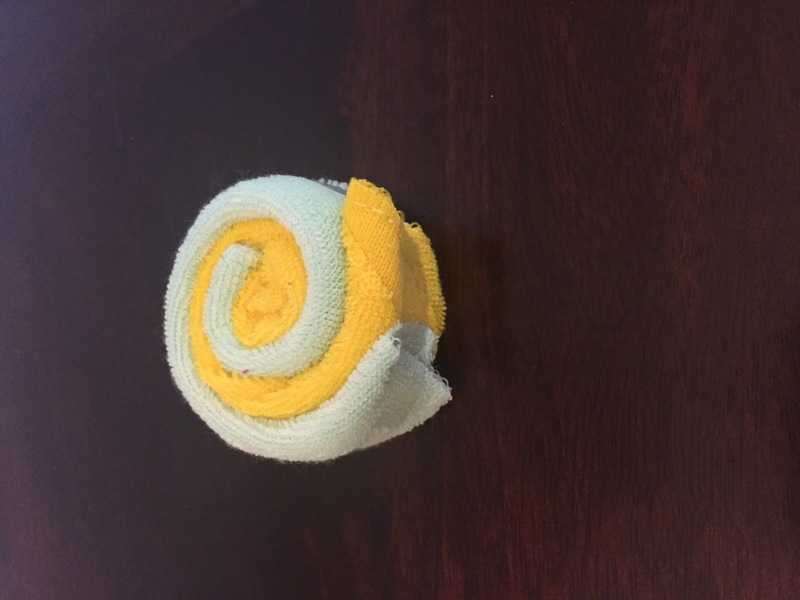 Step 3 – Attach a baby sooon to the back of the roll using tape to form the stem. 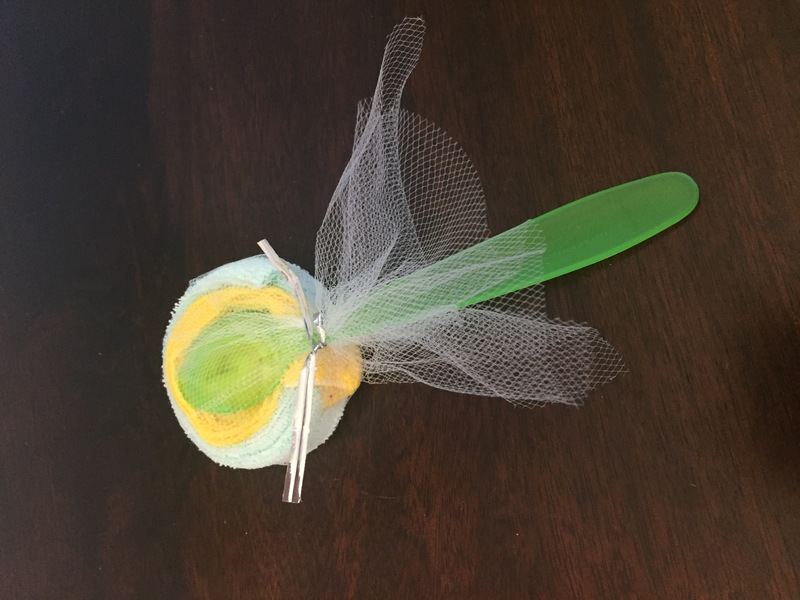 Step 4 – Cut tulle into 10 inch pieces and wrap around the lollipop top. Use twist tie to hold it all together. Trim twist tie so you can’t see the ends. Step 5 – Add a ribbon onto the front. Those are super cute! I will definitely be trying this out.